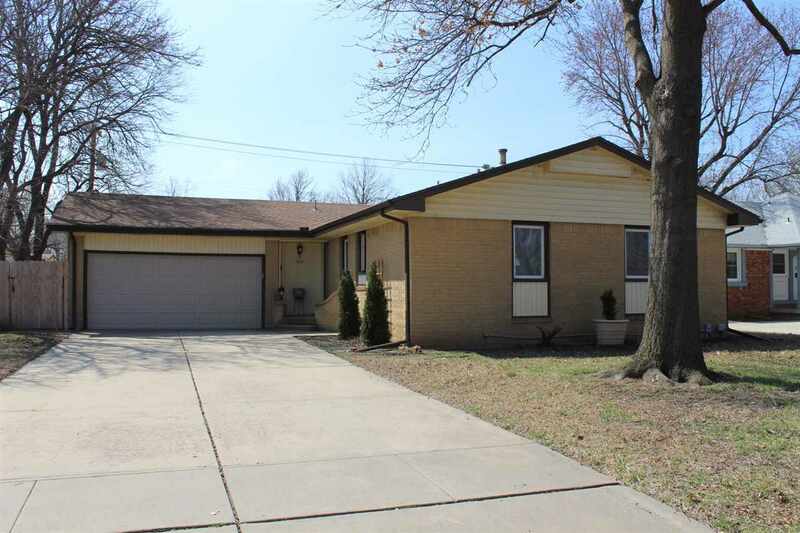 Dont miss out on this Ranch style home featuring 3 bedrooms, 2 baths, 2 car garage with full basement in NW Wichita! Home has had many updates including vinyl windows, vinyl siding with brick for low maintenance exterior, updated Trane Heat and AC unit in 7-2012, hot water tank , new Bosch dishwasher with all kitchen appliances staying for buyer. There is a new garage opener 2018, new garage door 2017, and new privacy fence last year. Home has both main floor laundry and basement laundry. Youll enjoy the spacious deck, raised garden beds, dog run, and chicken Ethel with Chicken coop will stay if buyer would like! Home has been well maintained but is in need of some cosmetic repairs and home is priced accordingly and is being sold as is.